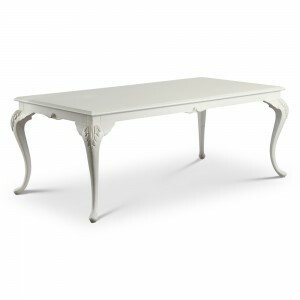 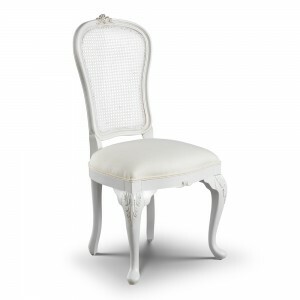 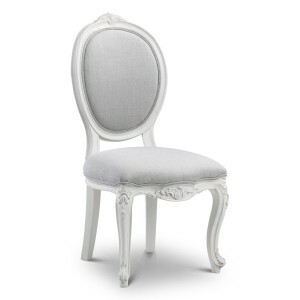 An off-white, smooth painted finish tastefully distressed and upholstered with a light grey linen fabric. 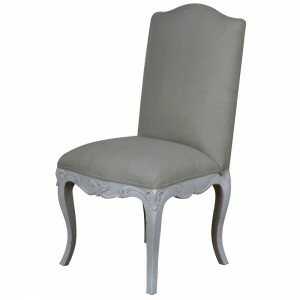 The Beaulieu upholstered dining chairs offer a stunning French appeal in any home. 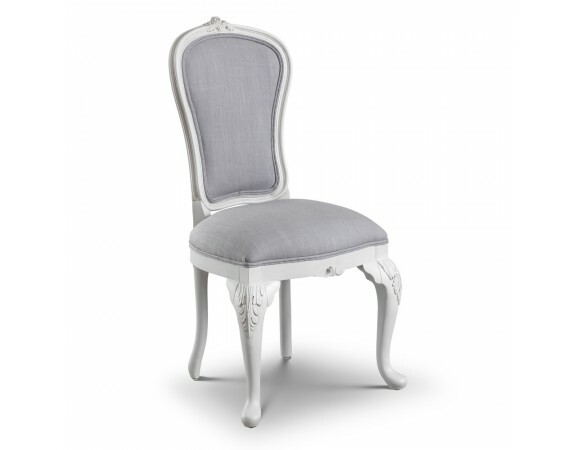 Intricate carved details induce opulence to this chair, ensuring that it will look fabulous in any setting it’s placed in. 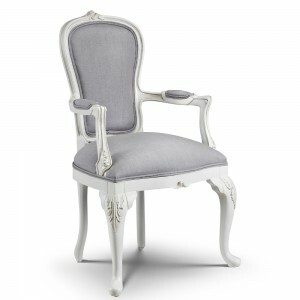 Even more sensational – This chair can be made bespoke! 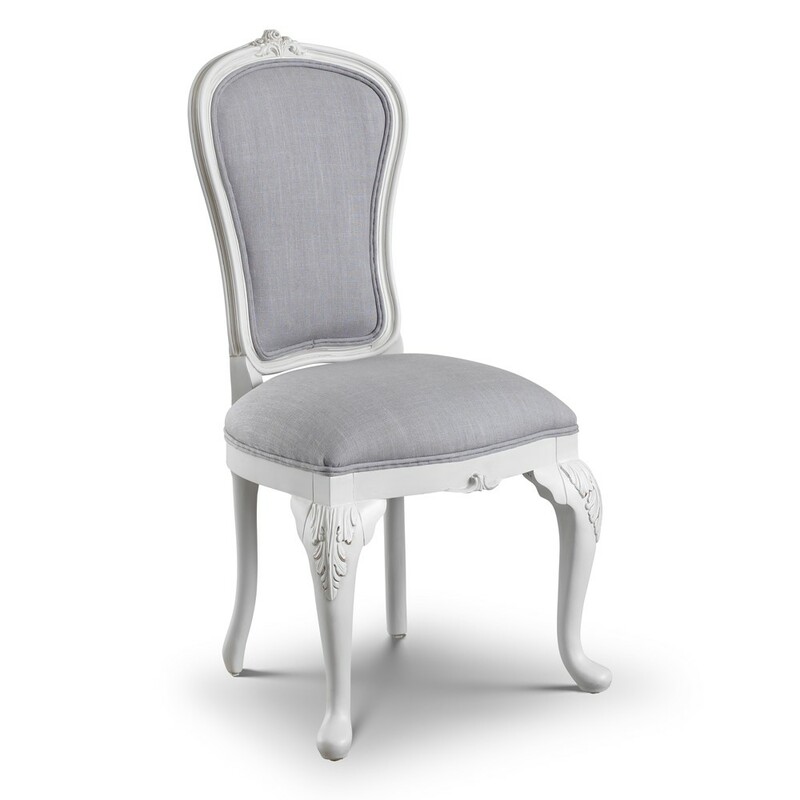 Place a special order with us and specify the paint colour of this chair, and/or send us fabric for them to be upholstered in to complement individual tastes/interiors. 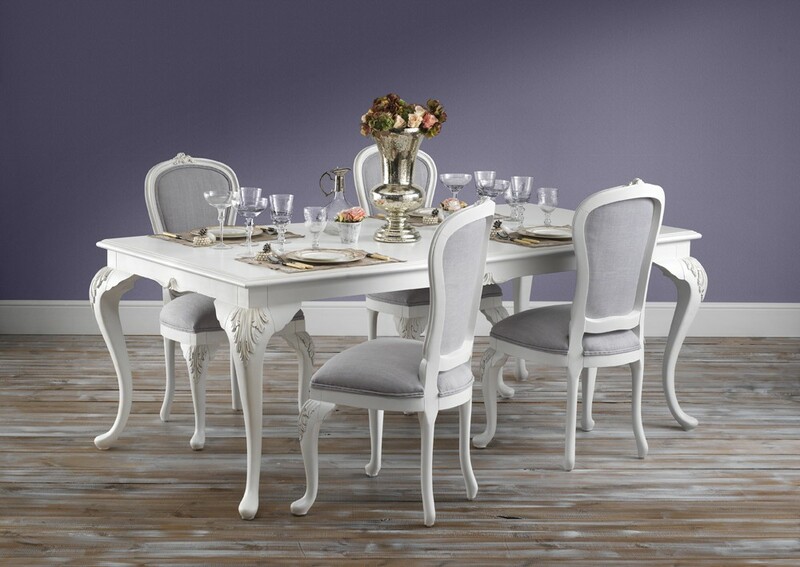 Opulent style French furniture, the Beaulieu collection is truly stunning featuring gently carved details and bespoke finishes.